The Jets are also independently working with technology providers FanVision and Roundarch. The former offers handheld devices to fans that show video of the game from different angles. 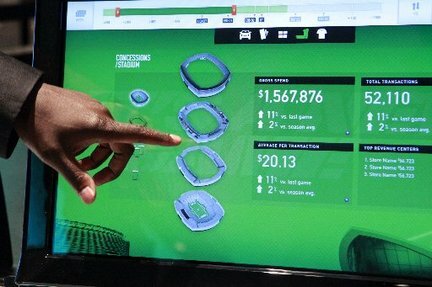 The latter provides real-time stadium data to the Jets in an effort to enhance the fan experience. “Technology is key to the operation of this building,” Jets owner Woody Johnson said.